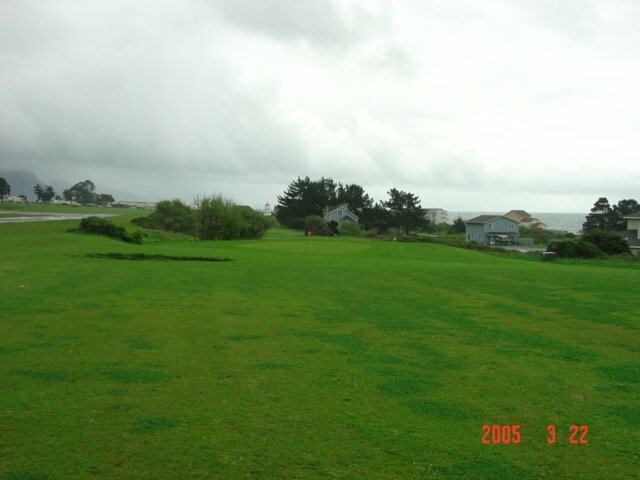 Located 200 miles north of San Francisco and 24 miles west to the coast, the entire course overlooks the Pacific Ocean. It's an easy walking course and the views are spectacular. Click here for driving directions This is a nine hole links course covering 2,428 yards with a par of 33 for the men and 34 for the ladies. There is one par-5, four par-4s, and four par-3s. The slope rating is 103. $15.00 - 9 holes, $20 - 18 holes, $50 - 1 week, $90 - 1 month. Annual greens fees available from the District office during business hours Monday through Friday 8AM - 4PM: $500 beginning July 1st and pro-rated throughout the year. This is a walking course and golf carts are not available for rent. 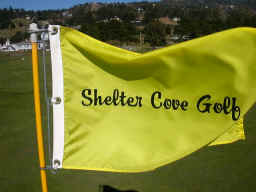 Shelter Cove Golf Course is a member of the Northern California Golf Association. NCGA has installed a computer in the club house for its members to register scores and calculate handicaps. The men's league play on Saturdays at 10:00 and the ladies tee off on Wednesdays 10:00. The Community Clubhouse Recreation Facility includes Abalone Hall, a 1200 sq ft rentable venue, a sports lawn for volleyball and croquet, bocce ball court and two horseshoe pits. Sports equipment (horseshoes, bocce balls, volleyballs and a croquet set are provided by the District.